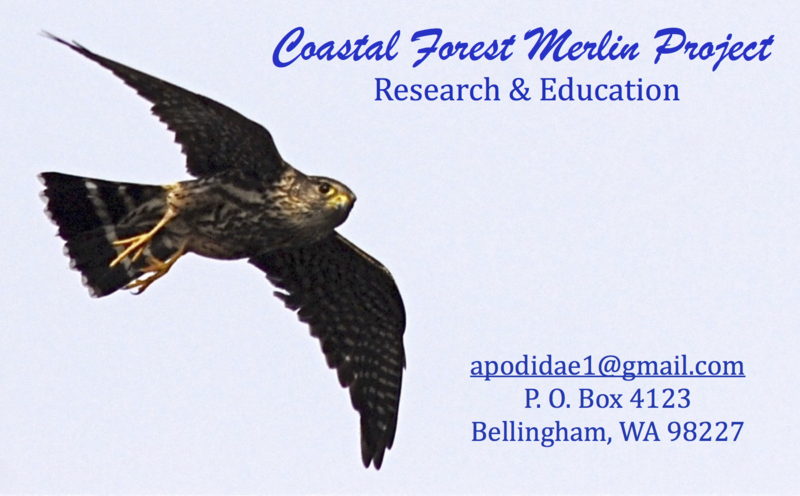 Merlins are bird-prey specialists focusing on passerine (perching songbirds) and shorebirds. They also take aerial insects and a very small number of mammals. In the Northwest, Merlins eat a wide variety of resident and Neotropical migrants (birds that migrate from Central and South America).